The entry into force of Book IV of the Code of Economic Law2 on 6 September 2013 introduced some fundamental changes to Belgian competition law. One of the main innovations was the simplification of the Belgian Competition Authority's structure. The Competition Authority's former tripartite structure was changed into a single administrative body that investigates and decides upon competition law infringements. Within this newly created administrative body, a distinction was made between the College of Competition Prosecutors (headed by the Prosecutor-General), which holds the Belgian Competition Authority's investigative powers, and the Competition College, which holds the Competition Authority's decision-making powers.3 The Competition College consists of two assessors (appointed in alphabetical order from the relevant (native Dutch or French-speaking) list of 20 nominated assessors) and the President of the Belgian Competition Authority, who presides over the Competition College.4 In merger control cases, the Competition College will decide whether to authorise a concentration in regular proceedings, whereas the Prosecutor will, in the first instance, decide whether to authorise mergers filed under the simplified merger procedure. In addition to Book IV of the Code of Economic Law, there are a large number of royal decrees regulating various aspects of merger control in Belgium.6 The Belgian merger control rules and case law are substantially influenced by European merger control rules and case law. The Belgian courts and Competition Authority have repeatedly stated that Belgian competition law should be interpreted in light of the European courts' jurisprudence and the decisions and guidelines of the European Commission, to which reference is often made. In 2005 the notification thresholds were substantially increased and in 2006 a simplified procedure was formally introduced into Belgian competition law. These changes resulted in a significant decrease in the number of notifications and a substantial increase in the number of mergers filed under the simplified procedure. In 2008 and 2009, the number of concentrations further declined as a consequence of the financial and economic crisis. From 2010, the number of notifications increased again. In 2017, 29 final decisions were issued. Out of these final decisions, 19 were issued under the simplified procedure and 10 under the non-simplified procedure. Given that the decisions in simplified procedures are generally only a page long and only include the parties' names, the markets in which they operate and the Prosecutor's confirmation that the conditions for the simplified procedure were fulfilled, these decisions do not provide any guidance on procedural issues or substantive matters. Therefore, only the decisions taken in regular procedures or the Court of Appeal's judgments are discussed here. On 21 December 2016, the Belgian Competition Authority issued a decision in the pharma sector following the notification of McKesson group's acquisition of exclusive control of Belmedis, Espafarmed, Cophana, Alphar Partners and of a majority interest in Sofiadis.7 The case was referred to the Belgian Competition Authority on the basis of Article 4(4) of the Merger Regulation, at the notifying party's request. The Prosecutor decided that the market for full-line pharmaceutical products was affected horizontally, while the market for retail sales was affected vertically. The Prosecutor concluded that the concentration might significantly impede effective competition on the Belgian market for the wholesale distribution of full-line pharmaceutical products because of important coordinated effects that would not be counter-balanced by the efficiency gains following the acquisition. The proposed concentration would create a collective dominant position on the Belgian market for the wholesale distribution of pharmaceutical products, as the structural characteristics of the market concerned might bring about tacit coordination in this market. The Competition College followed the Prosecutor's assessment and decided there were serious doubts about the admissibility of the concentration and consequently decided to open a Phase II procedure. On 20 April 2017, the Belgian Competition College conditionally approved the acquisition.8 The parties offered a commitment regarding the divestment of one of their depots in the Ghent area together with all relevant related assets and commitments to protect the opportunities of smaller players among the full-line wholesalers. It is noteworthy that the Competition authority started a cartel investigation and carried out dawn raids based on the information received during the (pre)notification of this transaction. On 25 January 2017, the Belgian Competition Authority announced the unconditional clearance of the acquisition of Van Gansewinkel Groep BV (Van Gansewinkel) by Shanks Netherlands Holdings BV (Shanks). Both transaction parties were active in the waste collection sector, including in the collection and treatment of non-hazardous and hazardous waste.9 The parties indicated that the transaction would produce such synergies as fulfilling the demand for circular economies (i.e., an alternative to a traditional linear economy (make, use, dispose) in which we keep resources in use for as long as possible, extract the maximum value from them while in use, then recover and regenerate products and materials at the end of each service life), providing better coverage within the Benelux and neighbouring European markets and merging complementary activities. The Prosecutor focused his analysis on non-hazardous waste collection, because there was only a very limited overlap between the concerned parties' in hazardous waste collection. The Competition College only focused on the following markets for its competitive analysis: (1) the national market for the collection of non-hazardous household waste, (2) the market for the collection of commercial (similar) industrial waste in Flanders and Brussels, (3) the national market for the recycling of flat glass and (4) the market for the recycling of flat and spherical glass to the extent they would be considered the same market. The geographic market was limited to a radius of 150 kilometres. In general, the Competition College followed the approach adopted by the Prosecutor and reached the conclusion that the merger did not significantly impede competition in the relevant markets. The prevailing opinion was notably that there was little direct overlap between the activities of the concerned undertakings and where anticompetitive effects could occur, they would be mitigated by the existence of sufficient alternatives in the relevant markets. On 13 April 2017, the Belgian Competition Authority approved the transaction in which Panasonic Corporation, active worldwide as a producer of electronic devices (Panasonic), acquired exclusive control over the undertaking Zetes Industries SA (Zetes).10 More specifically, Panasonic's AVC division, which produced and distributed hardware such as projectors, digital cameras and surveillance cameras, would integrate Zetes, which focuses on the identification of persons (production of electronic ID cards, driver's licences, etc.) and the identification of goods (automatic data-capture solutions, such as barcode readers, labelling solutions etc. ), without producing any hardware itself. The parties argued that the transaction would create significant synergies, including a broader offer to the clients of both parties, improved quality of Panasonic's products and expanded presence in the European Union and Africa. The competitive analysis by the Prosecutor is limited to the market for rugged terminals (mobile computers) in grand format (the 'upstream market') and the market for automatic data capture solutions, focusing on the sub-market for automatic data capture solutions for the identifications of goods (the 'downstream market'). The Prosecutor based his analysis on the European Commission's Guidelines on the assessment of non-horizontal mergers and stated that non-horizontal mergers were generally less likely to significantly impede effective competition than horizontal mergers, because it does not result in an immediate reduction in the number of effective competitors in the market. The most likely anticompetitive effects are market foreclosure on the upstream or downstream market through refusal to supply or access. Zetes almost exclusively used rugged terminals (mobile computers) in small format from suppliers other than Panasonic, so there was no risk that Panasonic would limit the access to its product to Zetes. Moreover, the Prosecutor found that alternative provision sources would remain post-transaction and Panasonic would not have the capacity nor the incentive to eliminate access. The Competition College followed this approach and concluded that the market for rugged terminals (mobile computers) in grand format was a growth sector, characterised by the presence of multiple actors. The transaction was, therefore, approved. the market for the sale of advertising space on national television channels in the Flemish region. Regarding the first relevant market, the Competition College concluded, in line with the Prosecutor's analysis, that the transaction would not lead to uncoordinated effects in the market, mainly because market dynamics would remain unchanged and because new environmental factors such as digitalisation, internationalisation and convergence would lead to a significant proportion of advertising flowing towards digital media. For the national market for nationwide subject-related advertising in Dutch-speaking magazines, the Prosecutor concluded that the newspapers from Mediahuis were not indispensable advertisement channels for competitors to position themselves in the market. Moreover, if Mediahuis refused access to advertising space to competitors in its newspapers, this would lead to significant financial losses that would be difficult to recoup. Finally, in the market for the sale of advertisement space on national television channels in the Flemish region, the Prosecutor's analysis showed that Mediahuis would be unable and would lack the incentive to foreclose the market for its competitors. Furthermore, the transaction would not lead to any conglomerate or coordinated effects, because it seems unlikely that Mediahuis would be able to offer a bundle in which magazine, television, door-to-door magazines and radio activities would be incorporated. Such a strategy of mandatory exclusive or optional bundles would not be an obvious market offering. Besides that, the Prosecutor assessed the possibility of coordinated effects, as the transaction would lead to only two remaining economic powers in the relevant markets, namely Mediahuis and De Persgroep. The Competition College approved the decision, predominantly because the existence of fierce competition for advertising revenues was based on many variables for price setting, led to a variety of tariffs and therefore made coordination between competitors unlikely. On 31 May 2017, the Belgian Competition Authority published its decision concerning Kinepolis' demand for the removal of conditions that had been imposed on it by a decision of the Belgian Competition Authority on 17 November 1997 and subsequently modified by a decision of 2010.12 In the 1997 decision, the Belgian Competition Authority approved a transaction between Bert and Claeys under the designation 'Kinepolis' contingent upon conditions. The Belgian Competition Authority concluded that the transaction would strengthen the notifying parties' dominant position in the Belgian market for the projection of films, but approved it based on the competitiveness of the concerned sector internationally. This expansion in scale would enhance technical audiovisual improvements in the sector from which viewers would benefit and lead to a better balance between movie theatre owners and the large international groups that control the film business. In turn, the transaction would increase the then-limited film offering in Belgium. The Competition College imposed a number of remedies to reduce the possible anticompetitive effects from the transaction, including: (1) a restriction on demanding exclusivity for film distributors for the allocation of films to other movie theatre owners; and (2) prior approval to establish any new complex or expand, renovate or replace any of its existing complexes. However, this measure did not apply to the expansion, renovation or replacement of any existing complex, if it resulted in an increase in the number of screens or seats by less than 20 per cent. The Belgian Competition Authority imposed these measures for a duration of 10 years, tacitly renewable for equal periods of 10 years, except if the Belgian Competition Authority, at the parties' request submitted six months before the expiry of this period, decided to remove the measures. The measures would be deemed to be removed in the absence of a Belgian Competition Authority decision within the periods provided for transaction procedures. In its decision of 16 April 2007, the Belgian Competition Authority approved the removal of the measures after a request by Kinepolis on 8 December 2006. The Belgian Cinema Federation and two competitors, UGC and Utopolis, appealed against this decision before the Brussels Court of Appeal. On 23 August 2007, the Brussels Court of Appeals suspended the Belgian Competition Authority's decision, mainly because the allegedly changed market conditions had not been sufficiently proved and because the removal of the measures due to the absence of a dominant position would not be a valid argument, when exactly these measures prevented the expansion or limited its existence. On 18 March 2008, the Brussels Court of Appeal annulled the decision based on these findings and sent the case back to the Belgian Competition Authority. Subsequently, the Belgian Competition Authority only partially upheld the measures from the 1997 decision and the Belgian Cinema Federation and again the competitors, UGC and Utopolis, appealed against the decision. On 11 March 2011, the Court of Appeal annulled the Belgian Competition Authority's decision and reiterated its findings regarding unchanged market conditions, but allowed Kinepolis to add, expand, renovate or replace an existing complex by more than 20 per cent and reduced the duration of the measures to renewable three-year periods rather than the previous 10-year period. Finally, at Kinepolis' request, the Belgian Competition Authority partially lifted the measures on 31 May 2017. Even if the Belgian Competition Authority concluded that Kinepolis' dominant market position in the market for the projection of films remained, it reassessed the likely effect of the measures imposed by the 1997 decision. An appeal against this decision of the Belgian Competition Authority has been brought before the Brussels' Court of Appeal. On 12 June 2017, the Belgian Competition Authority approved, contingent upon commitments, the €400 million acquisition of Coditel Brabant SPRL and its subsidiary, Coditel SARL, together operating under the trade name SFR (Coditel), by Telenet Group BVBA (Telenet).13 Telenet, which is a part of Liberty Global, is a Belgian cable operator supplying fixed internet, fixed telephony and cable television services to customers throughout Flanders and parts of the Brussels region, and mobile services throughout Belgium. Coditel supplies cable television, fixed internet, fixed telephony and mobile services as a mobile virtual network operator (MVNO) in some parts of Brussels, Flanders and in the south of the Hainaut province. Market participants expressed several competitive issues. Regarding the retail markets, the Prosecutor assessed: (1) the retail market for the supply of television services in Coditel's coverage area, (2) the Belgian retail market for the supply of fixed internet services, (3) the Belgian retail market for the supply of mobile telecommunication services, and (4) the Belgian retail market for the supply of multiple play-services. However, the Prosecutor concluded that this horizontal transaction would not result in the restriction of competition in these markets. The major competition issue concerned the wholesale market for access to television services, more precisely regarding Telenet having an increased incentive not to give access or to delay the access to Orange Belgium (a competitor on those markets) in Coditel's coverage area for television services post-transaction. In turn, this outcome would have an indirect but significant effect in Coditel's coverage area on the Belgian retail market for the supply of fixed internet services, the Belgian retail market for the supply of mobile telecommunication services and the Belgian retail market for the supply of multiple-play services. The Competition College found the commitments offered by Telenet, consisting of giving Orange Belgium access to Coditel's network within four months following the completion of the proposed transaction, to be satisfactory. This is remarkable since the Belgian Institute for Postal Services and Telecommunications (BIPT) explained how the existing regulatory obligations imposed on Telenet's wholesale tariffs would apply on the newly acquired cable network. The Competition College agreed that Telenet could solve these competitive concerns by committing to give Orange Belgium access to Coditel's network within four months following the completion of the proposed transaction at wholesale tariffs similar to those in Flanders. Moreover, Telenet committed not to offer new quadruple play bundles in Coditel's coverage area for an undisclosed period. On 3 July 2017, the Belgian Competition Authority approved the transaction in which Sator Holding BV (Sator Holding) acquired 100 per cent of the shares of the target company, Henrard Groep.14 In Belgium, Sator Holding was mostly active as an importer (warehouse distributor) of replacement parts and accessories for light motor vehicles through its subsidiary, Van Heck Interpieces (VIP), and for a smaller portion as a wholesaler on the market for the same products (local distributor). Henrard Groep consisted of several undertakings and was active as a wholesaler (local distributor) of replacement parts and accessories of light motor vehicles, as a seller of workshop equipment (automotive equipment and automotive tools), as a seller of tyres, as a seller of vehicle bodywork parts, and as a seller of automotive paint. The transaction's purpose was the vertical integration of Henrard Groep to achieve synergies. The Prosecutor identified three relevant markets for the transaction's competitive assessment: (1) the Belgian identity access management market (IAM market) for the import of replacement parts and accessories for light motor vehicles (warehouse distributors), (2) the Belgian IAM market for wholesale replacement parts and accessories for light motor vehicles (local distributors) and (3) the Belgian market for the distribution of automotive paint for deliveries to the repair market in the framework of vehicle repair. Only the Belgian IAM market for the import of replacement parts and accessories for light motor vehicles (warehouse distributors) was relevant for the assessment because the combined entity had a market share of around 35–40 per cent. The next competitor, Doyen, had a market share of 29.2 per cent and Motor Parts and Valeo each had a 10 per cent market share. The major competitive concern of the transaction was input foreclosure, since the merging entity was active both at the import level, where it had an important position, and at the wholesale level. However, since market participants had enough alternatives for obtaining supplies, the transaction would not lead to higher prices. The Competition College largely agreed with the Prosecutor's assessment and therefore approved the transaction. On 4 July 2017, the Belgian Competition Authority approved the acquisition of sole control of ALL 4 U BV (ALL 4 U) by ALSO Deutschland GmbH (ALSO).15 ALSO is part of the ALSO group, and internationally active in wholesale and distribution in the IT sector and the consumer electronics sector. Its business mainly focused on the sale of hardware and software products to resellers and retailers on the B2B market, as well as ICT services and customised solutions to several customer groups. ALL 4 U's main business consisted of holding shares in other companies. The company held shareholdings in three subsidiary companies: (1) Esseko BV, (2) Five 4 U Nederland BV and (3) Five 4 U BVBA. Together, the last two entities formed the company 'Five 4 U', active on the wholesale market for information technology products, communication technology products and consumer electronics. The market for the wholesale of printer consumables gave rise to a particular concern in the Prosecutor's assessment of the transaction, as the combined entities would have a market share exceeding 25 per cent post-transaction in the Benelux market. The Prosecutor concluded that the transaction would not lead to anticompetitive non-coordinated horizontal or conglomerate effects, mainly because of the existence of sufficient competitors, which made customers price-sensitive. The same was true for anticompetitive coordinated effects. These were almost non-existent, because the relevant wholesale markets contained hundreds or even thousands of products, whose characteristics regularly changed. Besides the existence of competition on price, there were several relevant competitive factors to take into account, such as, the policy on the return of goods, the delivery period, aftersales services etc. The Competition College followed the Prosecutor's approach. On 11 September 2017, the Belgian Competition Authority cleared the notification of a concentration involving Thomas Cook Airlines Belgium (TCAB) and the Belgian airline company, Brussels Airlines (SNB).16 The concentration mainly concerned the purchase by SNB of TCAB 'slots' for takeoff and landing from the Zaventem Brussels airport and other TCAB international flights, as well as goodwill related to these flights, the leasing of two A-320 airplanes and related employment rights. The Prosecutor defined the two relevant markets as: (1) the market for scheduled passenger air transport services (based on the 'point-of-origin/point-of destination' approach), and (2) the national market for the wholesale supply of seats to tour operators. For the first market, the Prosecutor analysed nine out of 33 transferred flight routes in more detail, as the parties had overlapping activities. Only seven out of these nine flight routes were considered as concerned markets for the competitive analysis, as the parties' combined market shares remained below 25 per cent in two of these analysed flight routes. For the second market, the Prosecutor concluded that the market was a concerned market in which the combined entities would acquire approximately 70–80 per cent of market shares for the winter season and 85–95 per cent for the summer season. The Prosecutor's assessment of the concentration on the concerned markets included horizontal non-coordinated effects, horizontal coordinated effects and vertical effects. Despite enhanced market shares of 70–80 per cent and 80–90 per cent on some of the flight routes, the Prosecutor considered the concentration unproblematic for the assessment of horizontal non-coordinated effects on the market for scheduled passenger air transport services, as competitive pressure would remain sufficient together with opportunities for competitors to enter the market. The same applied to the national market for the wholesale supply of seats to tour operators as competition was preserved and market entry easy. For horizontal coordinated effects, the Prosecutor considered that these were non-existent in both markets, as entry would defeat the chances of achieving coordination among market players. The Competition College followed the competitive analysis by the Prosecutor. Finally, the Belgian Competition Authority kept a large part of the vertical effects' assessment confidential, but nothing had such an overriding interest to prohibit the concentration. On 18 September 2017, the Belgian Competition Authority approved a transaction in which Lyfra SA (Lyfra) acquired exclusive control of Sweetinvest SA (Sweetinvest) and Verguts Gebroeders SA (Verguts Gebroeders).17 Lyfra is part of the Luxembourg group, Landewyck group SARL (Landewyck), which is active in the production and supply of tobacco-based products. The group is the owner of another company active on the Belgian market for the production of tobacco-based products, namely Torrekens Tobacco Belgium SPRL (Torrekens). Lyfra, Sweetinvest and Verguts Gebroeders are all active in the market for the wholesale distribution of food and non-food products, which includes the market for wholesale distribution of tobacco-based products. First, the market for the production of tobacco-based products was a concern for the concentration, because Torrekens, a subsidiary corporation of Landewyck, was active on that market, while the market share of the concerned parties to the concentration on the downstream market for the distribution of these tobacco-based products exceeded 25 per cent. Therefore, the concentration vertically affected the market for the production of tobacco-based products. Second, the concentration horizontally affected the market for the wholesale distribution of tobacco-based products, because the parties' combined market share would exceed 25 per cent post-transaction. This last market was the main concern and the Prosecutor therefore assessed the potential anticompetitive effects in this market in more detail. Regarding unilateral effects, the Prosecutor excluded its likelihood in the overall market for the wholesale distribution of tobacco-based products, even if the transaction would have led to a relatively significant increase in market shares in some sub-markets. In particular, the existence of a competitor with the same market share limited the potential unilateral effects. Regarding coordinated effects, the Prosecutor also excluded its likelihood, mainly because the market was not transparent, customers have tended to change their suppliers when discontent, the neighbouring market for wholesale convenience products had a disruptive effect on any potential coordination and the producers of tobacco-based products had significant power over the market for the distribution of wholesale tobacco-based products. Based on the above, the Competition College approved the transaction, also partly because 90 per cent of independent clients who answered its questionnaire did not oppose the transaction. they allow the parties to understand the Prosecutor's point of view on, for example, the market definition, and to more accurately estimate whether Phase I clearance is likely to be granted. The Belgian Competition Act makes a distinction between the simplified merger procedure and the regular merger procedure. The simplified procedure is highly practical, and today the vast majority (about 80 per cent) of notifications are made using this procedure. The simplified procedure has two essential characteristics: first, the Prosecutor examines the merger and decides whether to authorise it (and not the Competition College); second, the simplified procedure is very short, as the Prosecutor has to make a final decision within 15 working days of having received the notification. The amount of information that must be filed is also substantially less than in the regular procedure. Even though the simplified procedure is formally included in Book IV of the Code of Economic Law, it still entails some uncertainty for the parties. First, there is uncertainty as to timing. As set out above, a ruling that the simplified procedure cannot be used means that the parties have to start regular proceedings from scratch. Even if the Prosecutor during the pre-notification contacts indicates that the concentration qualifies for the simplified procedure, nothing is certain, especially given the wide interpretation of the 'no objection' criteria, which can allow third parties to force the notifying parties into a regular notification by filing objections. This uncertainty is increased by the absence of any right to appeal against a Prosecutor's decision to revert to the regular procedure. The regular procedure is divided into two phases (Phase I and Phase II), which each consist of an instruction and a decision stage. Once a complete notification has been filed, the Prosecutor will open a Phase I procedure. At this point, a summary of the notification is published in the Belgian Official Gazette and on the Competition Authority's website. The Prosecutor gathers information and submits a reasoned draft decision to the Competition College, who takes the final decision to either approve the merger (possibly subject to certain conditions) or to open a Phase II procedure. Book IV of the Code of Economic Law contains fixed time frames for both the decision and the investigation. Once the concentration has been notified, the Prosecutor must submit a reasoned draft decision to the Competition College within 25 working days of the day after the notification.48 A copy of this report will also be sent to the parties and a non-confidential version to the representatives of the employee organisations of the undertakings involved.49 If the file is incomplete, the time period only starts when the complete information is received. If commitments are presented, the time limit is extended by five working days. No less than 10 working days after the communication of the Prosecutor's reasoned draft decision, the Competition College organises a hearing during which the parties and any interested third parties are heard.50 From the moment the Prosecutor's draft decision is submitted, the parties must be given full access to the file, except for confidential submissions from third parties. Third parties, on the other hand, only have a right of access to the file in limited circumstances. The Competition College must decide whether to approve the merger within 40 working days from the day after the notification.51 This deadline is extended by 15 working days in cases where commitments are proposed. Furthermore, the parties can request an extension of the deadline after the investigation has ended.52 This extension may be particularly relevant if the parties need more time to convince the Competition College of their case, offer commitments, etc., to avoid the opening of a Phase II investigation. If the Competition College has serious doubts about approving the merger, it can order an additional investigation under the Phase II procedure. The parties have 20 working days after such a decision to propose commitments.53 Furthermore, the Prosecutor must submit its revised draft decision within 30 working days of the decision.54 The parties may submit their written observations within 10 working days of the submission of the revised draft decision. If the parties submit written observations, the Prosecutor may submit an additional draft decision within five working days.55 A hearing must be held no less than 10 working days after the submission.56 The Competition College must decide whether to approve the merger within 60 working days of initiating the Phase II procedure.57 This deadline can be extended at the parties' request. If the Competition College fails to make a Phase I or Phase II decision by the deadlines set out above, the merger is deemed to have been approved. Once a decision has been taken, notifications must be sent to the parties, the relevant Minister, anyone who might have an interest and anyone who has requested to be kept informed. The decisions are also published in the Belgian official gazette and on the Competition Authority's website.61 Before publication, the President of the Competition College will decide which, if any, passages in the decision are confidential,62 and will invite the parties to submit their views on this confidentiality. An appeal to the Court of Appeal does not suspend the Competition College's decision,67 and it continues to have full effect until the Court of Appeal issues its judgment. However, at the request of one of the parties, the Court of Appeal can order the suspension of the Competition College's decision. In practice, the suspension of a College decision usually is of limited interest to the parties, as they are bound by the suspension obligation of the merger until it is approved. However, in the Cable Wallon case, it turned out to be useful when the Court of Appeal overruled a tacit admissibility decision and reopened the investigation.68 On the other hand, a suspension might be useful to third parties who have appealed against a decision to ensure that the merger is not implemented. As is the case in all merger control proceedings, time is of the essence. Under the Belgian merger control system, a third party could try to prolong merger procedures to the disadvantage of its competitors. A third party could, for instance, prevent the merging parties from enjoying the benefits of the simplified (and much faster) procedure by raising objections to the merger. Regarding timing, it should be noted that the deadline imposed on the prosecutors to issue decisions in simplified merger filings has been shortened to 15 working days in 2013. This term of 15 working days is very short for the investigatory team. Therefore, it is important to start pre-notification talks, which can take months, well before the actual merger filing. On the other hand, as more and more issues are investigated and solved during the pre-notification period, decisions are often taken before the end of the legal deadline for the decision. In case of a simplified procedure, it is also advisable to start pre-notification contact to obtain as much certainty as possible about the Prosecutor's preliminary view on whether the conditions for a simplified procedure have been fulfilled and on the extent of the information that should be provided to convince the Belgian Competition Authority that the simplified procedure's conditions indeed apply. Since 2015, the number of notifications filed and the notification decisions issued has significantly increased when compared to previous years. 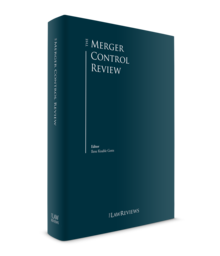 Moreover, in 2017 the number of concentrations filed under the regular merger control procedure doubled compared to 2016. Several recent decisions have given rise to fines for procedural infringements (for negligent obstruction, for 'gun jumping', and for non-compliance with commitments given). It is clear that the Belgian Competition Authority expects the parties to a concentration to act diligently and that it will fine undertakings that omit to notify, do not promptly reply to requests for information in merger proceedings or do not, whether or not intentionally, comply with commitments imposed, with or without intent. From the decisions that have already been issued under the regular merger control procedure since the entry into force of Book IV of the Code of Economic Law, it can be seen that it is not uncommon for admissibility decisions to be linked to complying with certain commitments. In this context, it should be noted that, as is the case under European competition law, both behavioural and structural remedies can be accepted. Whereas the Belgian Competition Authority seemed to be more inclined to impose behavioural remedies in the past, in recent decisions also structural remedies have been imposed (e.g., in the Delhaize/Ahold, the Kinepolis/Utopolis and the McKesson/Belmedis cases). The Code of Economic Law provides that the Belgian Competition Authority shall carry out an assessment of the two merger filing thresholds every three years, taking into account, inter alia, the economic impact and the administrative burden for undertakings. The BCA stated that in view of the relatively high notification thresholds in Belgium, the BCA sees no reason to raise these thresholds. If a reduction were to be envisaged, the Authority would advocate lowering the thresholds in certain specific sectors, with a local catchment area, as is for example the case in France. Also an information obligation for concentrations below the thresholds that are important for the Belgian market could possibly be considered according to the Authority. However, it first launched a stakeholder consultation on the existing thresholds and the need to modify them, the outcome of which is not known yet. Finally, it should be noted that a legislative proposal is currently pending concerning amending Belgian competition legislation. In this respect, there have been calls to introduce a 'stop the clock mechanism' in Belgian merger proceedings. It is also proposed to increase the maximum fines from 10 per cent of the Belgian turnover to 10 per cent of the worldwide turnover of the infringing undertakings. 1 Carmen Verdonck is a partner and Daniel Muheme is an associate at Altius. 2 Code of Economic Law of 28 February 2013, Belgian Official Gazette 29 March 2013. 3 Despite the Competition College formally holding the Belgian Competition Authority's decision-making powers, Book IV of the Code of Economic Law also grants certain decision-making powers to the College of Competition Prosecutors (for example, within the framework of the simplified merger procedure). 4 Articles IV.16 ff Code of Economic Law. 5 Article IV.7, Section 1 Code of Economic Law. In May 2017, the Authority launched a consultation of stakeholders on the thresholds for notification and an assessment whether they should be changed. 6 The most important royal decrees are the Royal Decree of 30 August 2013 on procedures with regard to the Protection of Economic Competition, Belgian Official Gazette 6 September 2013; and the Royal Decree of 30 August 2013 on the Notification of Concentrations of Undertakings in Accordance with Article IV.10 of the Code of Economic Law as inserted by the Acts of 3 April 2013, Belgian Official Gazette, 9 September 2013. 7 Decision No. ABC-2016-C/C-39 of 21 December 2016 in Case No. CONC-C/C-16/0038, the acquisition of the sole control by the McKesson Group of Belmedis SA, Espafarmed SLU, Cophana SA and Alphar Partners and of a majority participation in the control of Sofiadis. 8 Decision No. ABC-2017-CC-13 of 20 April 2017 in Case No. CONC–C/C–16/0038, the acquisition of the sole control by the McKesson Group of Belmedis SA, Espafarmed SLU, Cophana SA and Alphar Partners and of a majority participation in the control of Sofiadis. 9 Decision No. BMA-2017-C/C-02 of 25 January 2017 in Case No. MEDE–C/C–16/0041, the acquisition of Van Gansewinkel Groep BV by Shanks Netherlands Holdings BV. 10 Decision No. ABC-2017-C/C-10 of 13 April 2017, in Case No. CONC-C/C-17/0005, Acquisition of Zetes Industrie SA by Panasonic Corporation. 11 Decision No. BMA-2017-C/C-14 of 26 April 2017 in Case No. MEDE–C/C–17/0006, The expansion of the activities of the joint undertaking Mediahuis NV, through the transfer of several participations that are currently held by Corelio NV and/or Concentra NV. 12 Decision No. BMA-2017-C/C-22 of 31 May 2017 in Case No. MEDE–C/C–17/0014, Request by Kinepolis Group NV for the uplifting of conditions imposed by the Competition Council in decision No. 97-C/C-25 of 17 November 1997 as modified in the judgment 2008/MR/22-23-24 of the Court of Appeals of Brussels of 11 March 2010. 13 Decision No. BMA-2017-C/C-23 of 12 June 2017 in Case No. MEDE–C/C–17/0011, The acquisition by Telenet Group BVBA of all outstanding shares of Coditel Brabant and Coditel S.à.r.l. 14 Decision No. BMA-2017-C/C-28 of 3 July 2017 in Case No. MEDE–C/C–17/0019, Sator Holding BV/Henrard Groep. 15 Decision No. BMA-2017-C/C-29 of 4 July 2017 in Case No. MEDE–C/C–17/0021, Acquisition of ALL 4 U B.V. by ALSO Deutschland GmbH. 16 Decision No. BMA-2017-C/C-31 of 11 September 2017 in Case No. MEDE–C/C–17/0025, Brussels Airlines NV/Thomas Cook Airlines Belgium NV Procedure. 17 Decision No. BMA-2017-C/C-33 of 18 September 2017 in case No. CONC-C/C-17/0026, Lyfra SA/Sweetinvest SA and Verguts Gebroeders SA. 18 Article IV.7, Section 1 of the Code of Economic Law. 19 Article IV.11 Code of Economic Law. 20 Article IV.8 Code of Economic Law. 21 Article IV.10, Section 5 of the Code of Economic Law. 22 Article IV.61, Section 2, 2 of the Code of Economic Law. 23 The Rules adopted by the General Assembly of the Competition Council regarding the simplified notification of concentrations of 8 June 2007 recommend contacting the College of Competition Prosecutors at least two weeks before notification (see Section III.i, infra). Until further notice, these Rules remain applicable also after the entry into force of Book IV of the Code of Economic Law. 24 Article 5, Section 4 of the Royal Decree on the notification of concentrations. 25 Annexed to the Royal Decree on the notification of concentrations. For the simplified procedure, form CONC C/C-V/S is used, which is annexed to the Rules adopted by the General Assembly of the Competition Council regarding the simplified notification of concentrations of 8 June 2007. 26 Article 4, Section 1 of the Royal Decree on the notification of concentrations. 27 Article 5, Section 2 of the Royal Decree on the notification of concentrations. 28 Article IV.10, Section 2 Code of Economic Law. 30 Article IV.10, Section 1 Code of Economic Law. In Case No. 98-C/C-11 of the Competition Council of 28 July 1998, Promedia CV/Belgacom Directory Services NV, Belgian Official Gazette 18 September 1998, p. 30,441, the Council ruled that an agreement that had not yet been approved by the works council was not sufficiently binding to be notified. 31 Article IV.10, Section 3 Code of Economic Law. 32 Article 3, Section 4 of the Royal Decree on the notification of concentrations. 33 Article 3, Section 2 of the Royal Decree on the notification of concentrations. 34 Article IV.10, Section 5 Code of Economic Law. 35 Article IV.70, Section 1 and Article IV.72 Code of Economic Law. 36 Article IV.10, Section 7 Code of Economic Law; See for a recent application also the decision No. BMA-2015-C/C-79 of 23 December 2015 in Case No. MEDE-C/C-15/0035, acquisition of Imtech Belgium Holding NV and Imtech Belgium NV by Cordeel Group NV Cordeel. 37 Article IV.71, Section 2 Code of Economic Law. 38 Article IV.71, Section 1 Code of Economic Law. See also decision No. BMA-2015-C/C-31 of 30 September 2015 in Case No. MEDE-C/C-15/0017, Acquisition of Humo NV, Story, TeVe-blad and Vitaya by De Persgroep Publishing NV, in which the Competition College ruled that the Guidelines on the calculation of fines may be used as guidance for the calculation of such fines. 39 Rules adopted by the General Assembly of the Competition Council regarding the simplified notification of concentrations on 8 June 2007. 40 Point II.3.2 of the Rules adopted by the General Assembly of the Competition Council regarding the simplified notification of concentrations of 8 June 2007 states that, in special circumstances, the simplified procedure cannot be applied. This can be the case where it is impossible to determine the exact market shares of the parties (e.g., on new or less-developed markets) or where markets with high entry barriers or a high degree of concentration are concerned. In decision No. BMA-2015-C/C-79 of 23 December 2015 in Case No. MEDE-C/C-15/0035, the acquisition of Imtech Belgium Holding NV and Imtech Belgium NV by Cordeel Group NV Cordeel, 'gun jumping' was also considered to be a special circumstance to set aside the simplified procedure. 41 Point II.1 of the Rules adopted by the General Assembly of the Competition Council regarding the simplified notification of concentrations of 8 June 2007. 42 Article IV.63, Section 6 Code of Economic Law. Please note that Article I.1 Code of Economic Law defined working days as all calendar days with the exception of Sundays and statutory holidays. This meant that Saturdays had to be considered as working days. An Act of 29 June 2016 changed the definition of working days again to also exclude Saturdays. 43 Article IV.63, Section 3 Code of Economic Law. This criterion was widely interpreted in case law. In the Belgian Airports/Brussels South Charleroi Airport case, the Prosecutor refused the application of the simplified procedure merely because a third party voiced an objection against the concentration (Case No. 2009-C/C-27 of 4 November 2009, Belgian Official Gazette 22 January 2010). 44 Article IV.63, Section 5 Code of Economic Law. Strangely, this Paragraph ('doubts as to the permissibility') does not use the same criterion as Paragraph 3 ('no objection'). 45 Article IV.63, Section 6 Code of Economic Law. 46 For example, Decision No. ABC-2014-C/C-03 of 26 March 2014 in Case No. CONC-C/C-13/0030, Tecteo/EDA – Avenir Advertising, which was notified under the simplified procedure but had to be renotified under the regular procedure as some of the market definitions were contested and the transaction raised multiple competition concerns according to the auditor. 47 Article IV.63, Sections 3 and 4 Code of Economic Law. 48 Article IV.58, Section 4 Code of Economic Law. 49 Article IV.58, Section 4 Code of Economic Law. 50 Article IV.60, Sections 1 and 2 Code of Economic Law. 51 Article IV.61, Section 2 Code of Economic Law. 52 Article IV.61, Section 3 Code of Economic Law. 53 Article IV.62, Section 1 Code of Economic Law. 54 Article IV.62, Section 2 Code of Economic Law. This deadline shall be extended by a period equal to the period used by the parties to present commitments, if any. 55 Article IV.62, Sections 3 and 4 Code of Economic Law. 56 Article IV.62, Section 5 and Article IV.60 Code of Economic Law. 57 Article IV.62, Section 6 Code of Economic Law. This deadline shall be extended by a period equal to the period used by the parties to present commitments, if any. 58 Article IV.62, Section 5 and Article IV.60 Code of Economic Law. 59 Cour de Cassation, 22 January 2008, Tectéo/Brutélé. 60 Decision of the Brussels Court of Appeal of 19 November 2014 in Case No. 2013/MR/30, De Persgroep NV/Belgian Competition Authority and Corelio NV and Concentra NV. 61 Article IV.66, Section 2 Code of Economic Law. 62 Article 65 Code of Economic Law. 63 Article IV.79, Section 1 Code of Economic Law. 64 Article IV.79, Sections 3 and 4 Code of Economic Law. 65 Article IV.79, Section 5 Code of Economic Law. 66 Article IV.79, Section 2 Code of Economic Law. This was confirmed in the decision of the Brussels Court of Appeal of 19 November 2014 in Case No. 2013/MR/30, De Persgroep NV/Belgian Competition Authority and Corelio NV and Concentra NV. 67 Article IV.79, Section 2 Code of Economic Law. 68 Brussels, 25 January 2008, Tecteo, Brutélé, Case 2008/MR/1.